BMW India has put out a teaser for its BMW Z4 roadster on its social media platforms. The company says that further details of the soft-top's India launch will be made available today, April 4. 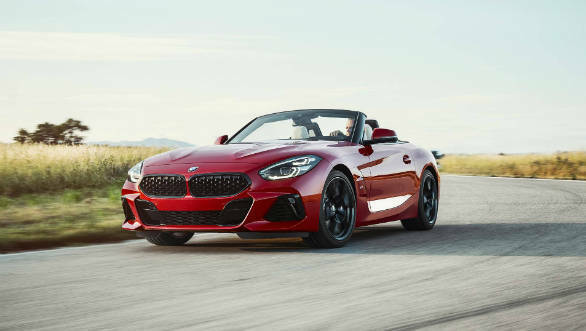 The BMW Z4 was launched globally at the 2018 Paris Motor Show in October last year. The design of the production-spec Z4 closely follows that of the Z4 concept seen some time ago. The car gets an aggressive front end with a prominent kidney grille and large air intakes. Most striking is the headlamp design, which ditches the signature BMW double-barrel look for a more angular design. The side profile gets prominent vents behind the front wheel arches which merge into a heavily contoured body. The rear also gets upswept taillamps and aggressive vents on the bumpers. The current flagship M40i trim cars are powered by a 3.0-litre inline six cylinder that puts out 382PS and 500 Nm in the US market, zero to 100 kmph for these comes up in 4.2s. In other markets, this motor is detuned to 340PS, consequently dropping the acceleration time to 4.5s. Following this is the sDrive30i and sDrive20i. Both these cars feature a 2.0 litre turbo four cylinder. The 30i makes 258PS and 400 Nm which drops to 197 PS and 320 Nm. Acceleration times are the 5.4s and 6.6s respectively. 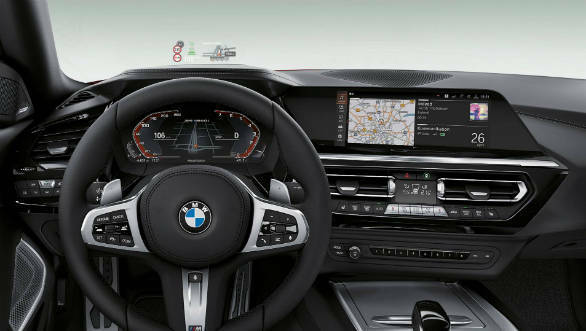 Other features are sport suspension with electronically controlled dampers, an M Sport braking system and also an electronically controlled M Sport differential. BMW also claims the Z4 has 50/50 weight distribution. We expect sDrive30i to be best suited for us, given its mix of pace and efficiency. The new Z4 fills a void left in the BMW line-up since the departure of the last-gen car, This new model seems to toe a more aggressive line than the last car as well, appeal also to the more traditional BMW buyers. This will help it compete better with rivals like the Porsche 718 Boxster and Audi TT. Expect the BMW to also match these cars closely in price, so a Rs 90 lakh figure seems likely.